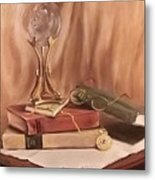 Grannie's Locket is a painting by Patricia Lang which was uploaded on September 12th, 2015. 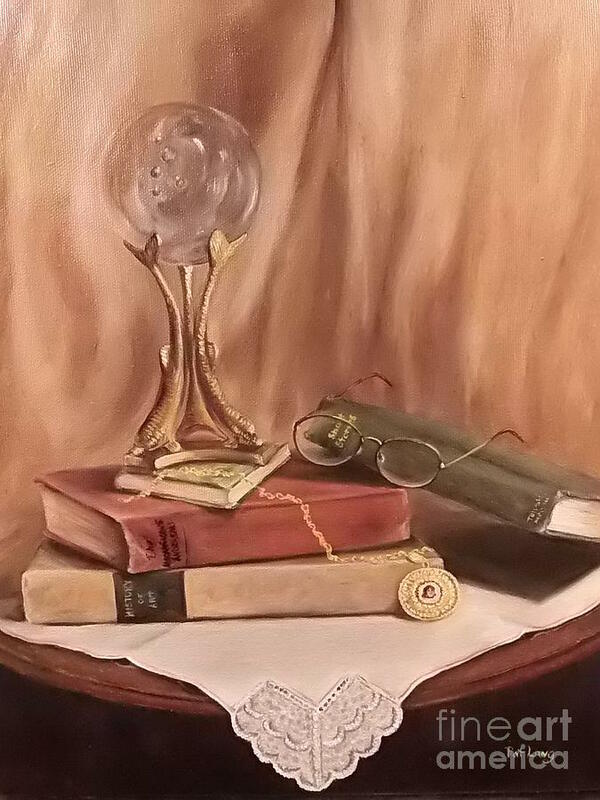 This still life tells a story of a brief pause from reading, as the reader's glasses rest on the book. 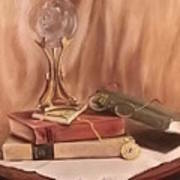 Perhaps the book reminded the reader of the grandmother, as her locket and chain are resting on the table by the book. 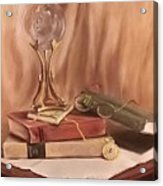 There are no comments for Grannie's Locket. Click here to post the first comment.